You’re in a battle for attention. Figuring out the best way to earn attention in a maelstrom of information and entertainment is the great marketing challenge of modern times. But the answer is obvious: relevancy. 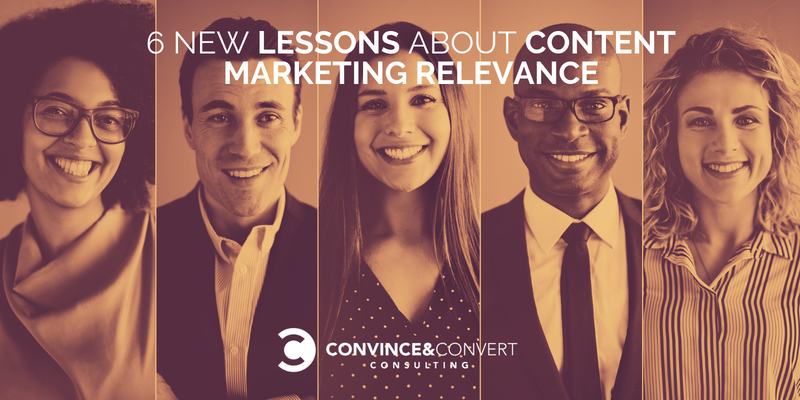 Relevancy is the killer app. Relevancy creates attention. I’ve said it before, and I’ll keep saying it: If you want your content to succeed, it must be somebody’s FAVORITE blog, podcast, video, or haiku in the world. And to be someone’s favorite, you need to be hyper relevant. The trick is, as your audience grows, it can become more difficult to focus, and thus your relevancy wanes. We are constantly working on this issue at Convince & Convert. This is one of the very few online outposts that covers social media strategy, content marketing strategy, digital marketing strategy, word of mouth strategy, and customer experience. That breadth is a plus (I hope), but it also can produce relevancy issues, as we aren’t hyper-focused on ONE element of digital marketing and CX. Congrats Lonna! Can’t wait to see you at CONEX. Big congratulations to Lonna Whiting, who won our survey-takers contest. 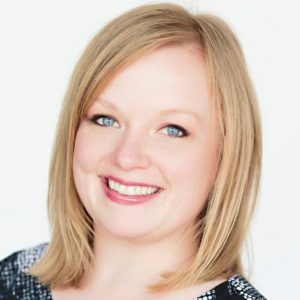 Lonna is a veteran content creator who specializes in branding, customer and employee experience, corporate and internal communications, and social media strategy. She’ll be joining me at the CONEX event next August, in Toronto, on my dime. If you look at our website analytics, approximately 50% of our audience is in the USA. But 76% of our survey respondents say their company’s headquarters is located in the US, followed by EMEA at 9%, and Canada at 8%. We presume survey respondents are really our “core” audience, so it’s interesting to see such a big gap in traffic geography between all visitors and core visitors. We don’t play favorites on this front, and I think the B2B vs. B2C argument is usually misplaced. Our audience here at C&C is just slightly more likely to be B2B. Our audience works in both very large and very small companies, and everything in between. 35% of our survey respondents are in businesses with 10 or fewer team members. Conversely, 41% work in companies with more than 100 employees; and 27% are part of large organizations with 501 or more team members. 73% of our audience influences or makes the decisions in the company about software, conferences, and similar. There is a story sometimes told about executives and managers that suggest they don’t do their own reading and learning; that they delegate that task to subordinates. This data indicates otherwise. One of the things I love about digital marketing is that it is always changing. And that constant flux requires constant learning. Our audience concurs, and many of them are OGs in this industry! 79% have been in marketing for 6 or more years, and an amazing (at least to me) 51% of our survey participants have 11 or more years of experience. Among our survey respondents, 54% say that they expect their marketing/sales/CX budget to go up in 2019; and just 5% believe their budget will go down next year. Based on the lessons learned in this research, we’ll continue to make adjustments here at C&C, both in our editorial approach and in our media/sponsorship offerings. 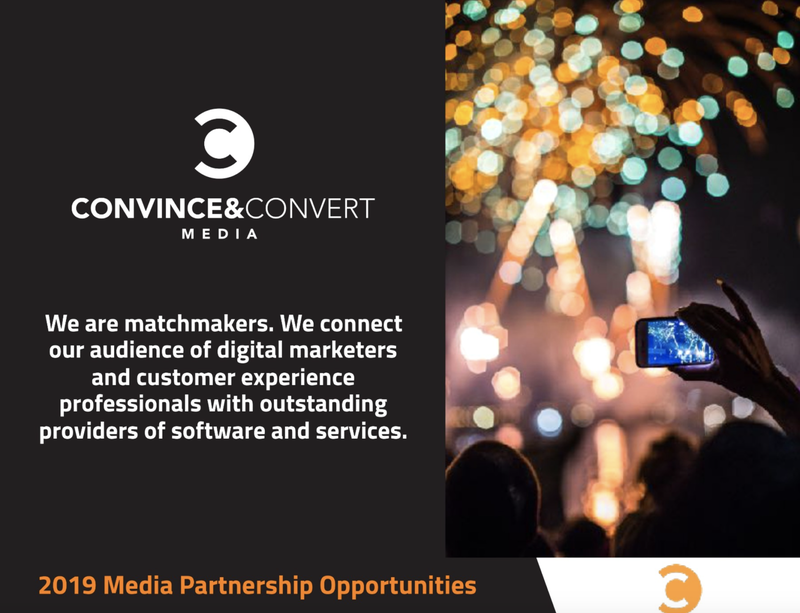 We work with more than 25 companies to generate awareness and leads for their solutions, via our blog, podcasts, webinars, videos, emails, and more. In fact, this year we had the unique scenario where we actually sold out of media inventory. That being the case, we are deep into discussions with many MarTech and AdTech companies about 2019 programs. If we can help you with your demand gen, please let us know ASAP. Here are our 2019 opportunities. We are so excited to get to know you better.